Radio Utblick has been to Georgia! Sara Lindström and Samuel Horgby went on a trip to Tbilisi that was organized by UF’s event committee. The result of the trip: Two interesting radio programs about Georgia. The two programs are called ‘Georgia on my mind’. 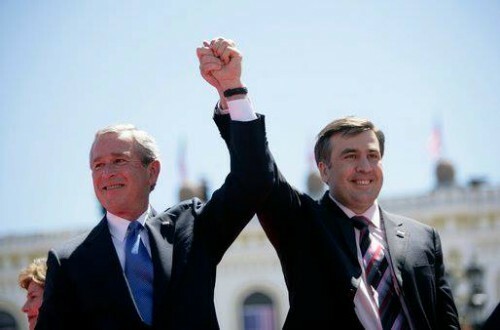 The first program will focus on Georgia’s relations to Russia, it’s quest to become a NATO and EU member. It will be about the bloodless ‘Rose revolution’ that took place in 2004, the conflict that the country has with it’s two breakaway regions and the war with Russia that it fought as recently as 2008. Georgia on my mind – part two, is about the social conditions of Georgia. It explains the great influence that the Orthodox church has in the Georgian society. How LGBT-persons are in a difficult and marginalized situation. It brings up how, despite impressive economic growth, poverty still is widespread in Georgia and how the conflict the country has with Russia affects the everyday life of the Georgian population. You’ll find these programs, along with all other programs that Radio Utblick has produced, on mixcloud.com/k103.